With limited time, staff and budget, effectively connecting with citizens may sometimes seem like an insurmountable task for government organizations. 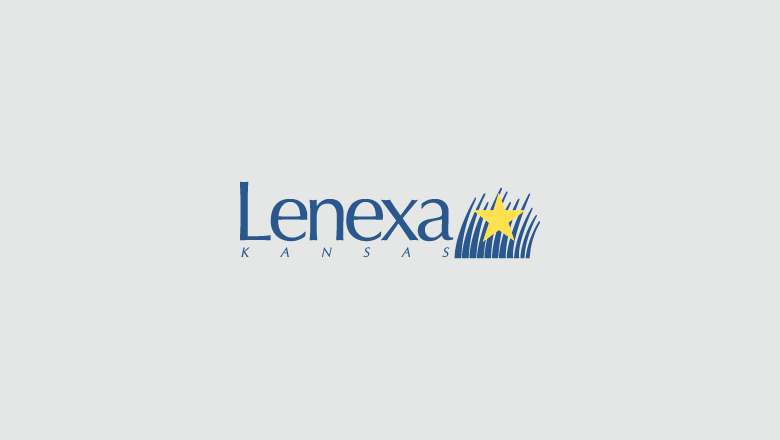 Yet through the power of social media, the City of Lenexa, Kansas is able to quickly share information, answer questions and build bonds with community members. The city uses Sprout Social to streamline its social efforts and maximize their benefits. And after achieving a 96.9% increase in social engagements over a single year of using Sprout, the results have only continued to improve. Communications Specialist Kristen Waggener heads up the City of Lenexa’s social media efforts, including promotion of the popular Lenexa Public Market and Lenexa Rec Center across Facebook, Twitter, LinkedIn and Instagram. As the city’s social presence expanded and new profiles were created, the need for a social media management tool grew. While Waggener was pleased with Sprout’s data analytics and reporting capabilities, she was initially dubious of its Smart Inbox. Ultimately, Waggener wanted a tool that would help her inform the public, something easier said than done when it comes to the sometimes-mundane business of governing. So how do you get people to pay attention? By using Sprout’s Optimal Send Times, powered by proprietary ViralPost™ technology. 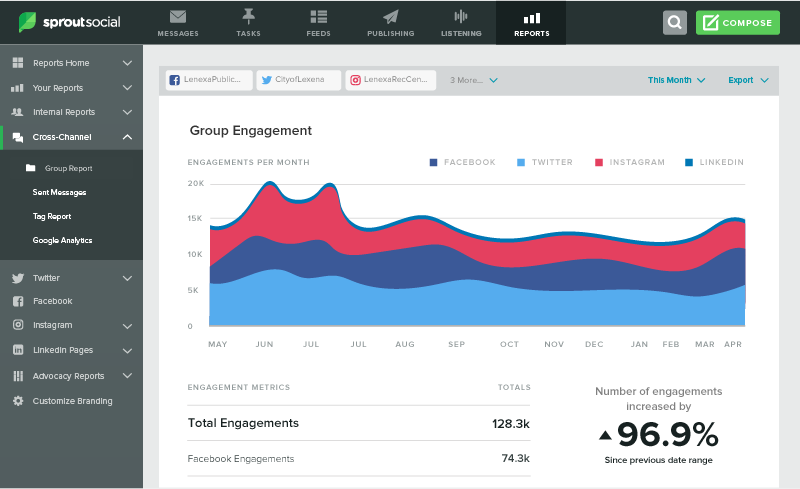 This feature enables users to schedule and publish content at the times most likely to receive attention and generate engagement based on audience data. “I started using Optimal Send Times in June  right after it was rolled out and saw a huge increase in engagement and reach,” Waggener said. Over the course of a single month, from May 2018 to June 2018, the City of Lenexa saw its social impressions and engagements increase by 18% and 49.7%, respectively. Waggener feels safe scheduling content in advance because of Sprout’s Pause All feature, which allows users to instantly pause and unpause scheduled content. I wear a lot of different hats, so not having to spend the time to figure out what the best time to post is or not having to spend the time compiling all the analytics data—it saves many hours. For Waggener, measuring Sprout’s return on investment goes beyond metrics. Time saved is another consideration. However, if the City of Lenexa were to judge Sprout purely on hard numbers, that would be fine, too. 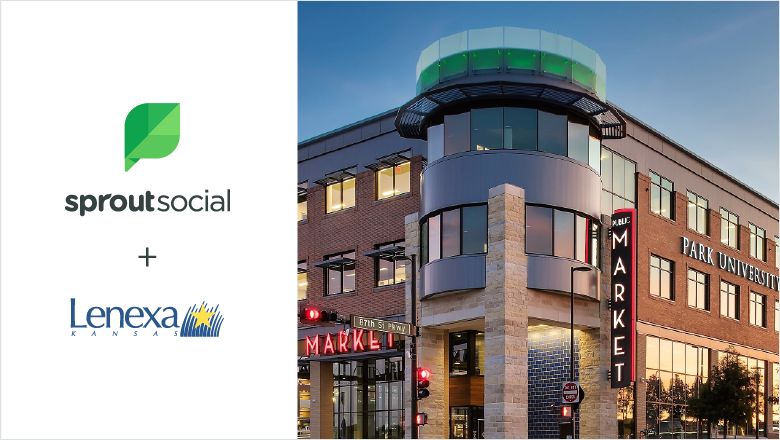 With the help of Sprout Social, the City of Lenexa will continue to boost citizen engagement, serve the needs of its constituents and ensure important information is shared far and wide.